That's right, I said it! : She-Hulk? Okay, this might be pretty geeky - or actually, if I was geeky enough, I would already know this. In ANY case... 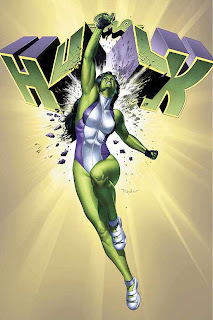 I just now found out that there is a She-Hulk!! !